This is a “proper” canyoning experience using proper canyoning techniques. Before we enter this top secret canyon you will first be taught how to use the equipment and how to abseil. We will then enter the canyon, and working as a team we will descend it, doing battle with its truly colossal waterfalls and vertical drops. 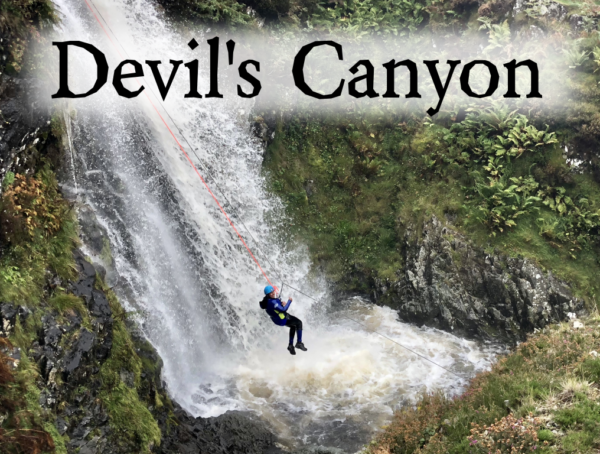 Its abseils and slides are the BIGGEST the Lake District has to offer. There is a huge zipline down a waterfall that is guaranteed to get the adrenaline pumping. Do you have what it takes to attempt ‘The COLOSSAL One’?